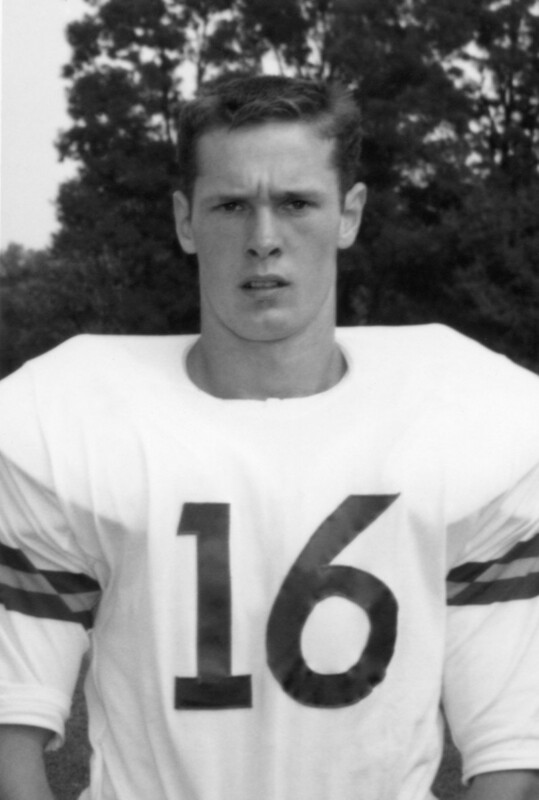 R. Ronald “Ron” Bales, a 1981 Emory & Henry Sports Hall of Fame inductee, made a name for himself as a multi-sport athlete, playing both varsity baseball and football. His Hall of Fame recognition comes in honor of his contributions to the Wasps’ football squad as a two-way player in the 1960s. On the football field, Bales was a four-year starter and letterman at both quarterback and safety. He was named to the Knoxville Sentinel’s All Area team his sophomore year and was a First-Team Virginia Small College member during his senior year. On the baseball diamond, Bales was also a four-year starter and letterman. He played centerfield and batted over .310 for four years. As a sophomore, the team won the Smoky Mountain Conference Championship under Coach Carl Bolt. Bales continued his involvement in athletics after graduating from college. He had a semi-professional baseball career with the Saltville Alkalies and the Marion Athletics and served as a football coach for Chilhowie High School, where he led the team to a state title in 1970. Bales began to make a name for himself fresh out of college. He was selected to Outstanding Young Men of America in twice, in 1970 and 1973, and he received Jaycees Man of the Year Award in 1971 in Chilhowie, Virginia. Bales went on to a successful business career, working as Assistant Vice President of Coaches Insurance Associates of America and Vice President of World Energy Systems Associates Incorporated, an international coal exporting company based out of Knoxville, Tennessee. He is also a member of Marion United Methodist Church, a member of the Kiwanis Club of Marion, and Sports and Recreation Committee Chairman of Smyth County Chamber of Commerce, and a member of National Association of Life Underwriters.